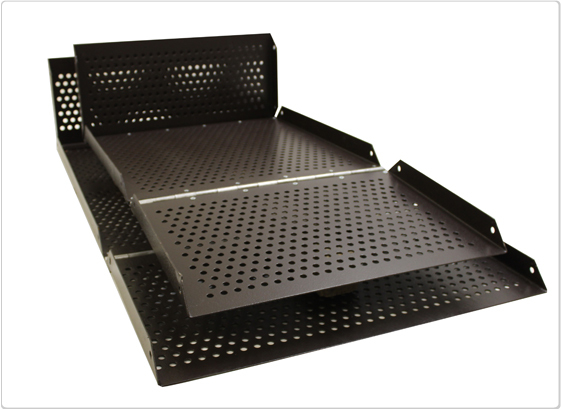 This sturdy ADA Swing Platform attaches to existing swing set structures. Each platform accommodates one (1) standard adult wheelchair measuring 30″ W x 48 ” L. Standard entry for adult accessible playground structures is 36″. The weight capacity of the platform is 700 lbs., including the wheelchair and its occupant. Please note that swing parts are not included with the platform (chains, hangers, fasteners) and are sold separately. An optional swing chain is also available, to allow platform users to propel themselves, unassisted. Manufacturer: SportsPlay Dimensions: 32″W x 38″L Weight: 123 lbs.